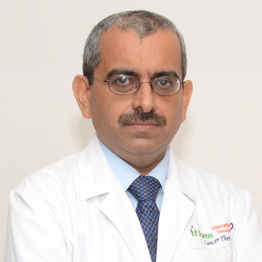 Dr. Rakesh Ojha is a well known name in the field of Bone Marrow Transplantation. He has 20+ years of experience in cancer institutes worldwide. He has been closely related to St. Joseph`s Regional Medical Centre in New Jersey & Temple University in Philadelphia, amongst others. He was member of the Institutional Review Board of Garden State Cancer Centre in Belleville, NJ.